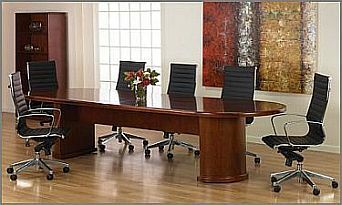 This gorgeous wood veneer conference table has half drum bases and a very thick bullnose edge around the top. This table is available in 6,8,10 and 12 feet lengths. Cherry only.